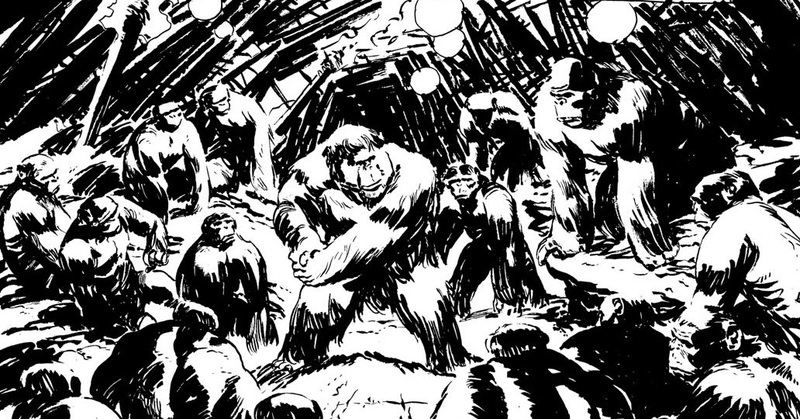 A panel from today's Planet of the Apes work. Into the ink phase of the issue now - my actual favourite. wow Dan, just love your inking (and drawing) on this book, and plans to do a video of your self drawing or inking a page? class! will keep an eye out for it.